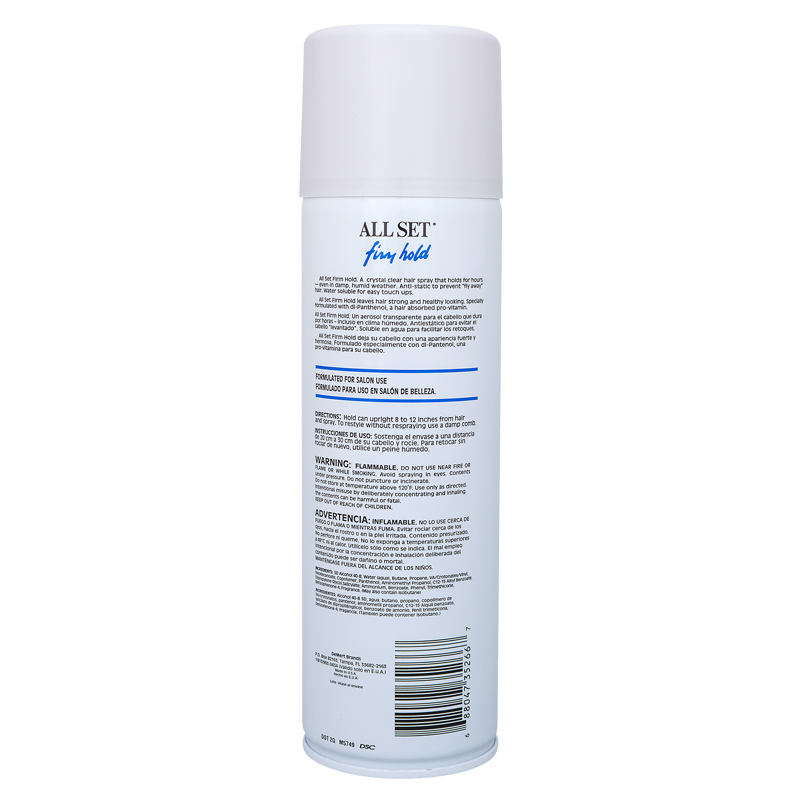 A crystal clear hair spray that holds even for hours – even in damp, humid weather. Anti -static to prevent “fly away” hair. Water soluble for easy touch ups. 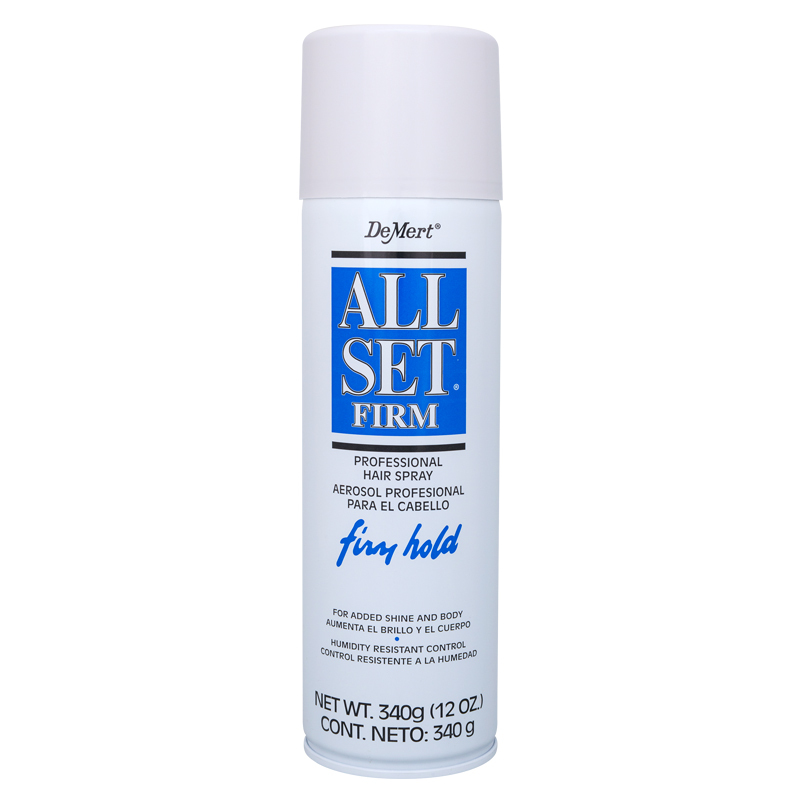 All Set Firm Hold leaves hair strong and healthy looking. Specially formulated with dl-Panthenol, a hair absorbed pro-vitamin. Directions: Hold can upright 8 to 12 inches from hair and spray. To restyle without respraying use a damp comb. Warning: FLAMMABLE. DO NOT USE NEAR FIRE OR WHILE SMOKING. Avoid spraying in eyes. Contents under pressure. Do not puncture or incinerate. Do not store at temperature above 120 F. Use only as directed. Intentional misuse by deliberately concentrating and inhaling the contents can be harmful or fatal. KEEP OUT OF REACH OF CHILDREN.